And, as you expect, within a week, he gets fired. I hadn’t seen the movie, or even heard the story. 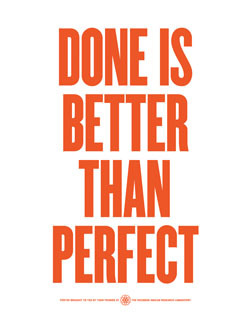 And so, when our company was pursuing a process improvement odyssey” (whatever that was) and I was heading up the committee on quality assurance, I took a page from Karl Wieger’s “Creating a Software Engineering Culture” that differentiated what we really want (improvement!) from some of the things we do to get there (paperwork! metrics!). I made a hundred copies and put it in every mailbox in the IS department. Yes, I was that guy. No, I did not get fired. I might even have woken a few people up. I kept my role on the quality assurance committee and we even made a few improvements. It look a little effort; it took a little creativity, it took a little risk. 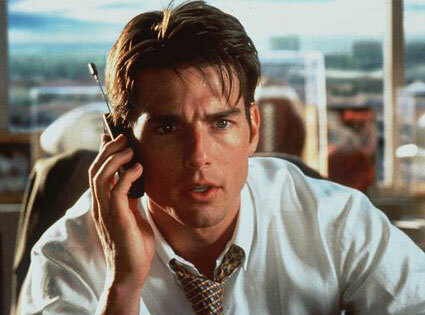 When was the last time you had a Jerry Maguire Moment? Say you work for a company that is a little buttoned down. A little too stable, predictable, repeatable. You’d like to lead a sort of insurgency – a culture insurgency – but you don’t want to take a huge risk. Or maybe you can; you are a manager or leader. Your job is to improve the system. You can to do something fun, to let people know it is okay to try new things. At the very least, some kind of attention might improve retention and morale. Here’s the idea: Go to this webpage, save the link to each image as a TIF file, print them out, come into the office early in the morning, and tape them up. Now if your company is addicted to risk, these posters might not help. People might cheer and appreciate it, and problems might get worse. But, on the other hand, if you are just slowly jumping to the wrong side of conservative, these posters might make people think. They might force some conversations. If you have a different problem, you could make up your own posters. This takes ten minutes and it can actually improve outcomes. Or you might get fired. I really doubt it, though – these posters are about inspiring change, not creating revolt. But if you do, somehow, I suspect that you would be better off at the next gig. What was the last big chance you took? UPDATE: This post is not a recommendation to go print motivational posters from Facebook. It is to use those as one possible mechanism to start a light – fun – non-damaging insurgency. If I came across as the former, well, I’m sorry. More to come.